Cryptocurrencies have come a long way after a somewhat shadowy start, but we can no longer ignore the environmental impact that the laborious creation of each digital bitcoin has on the planet. 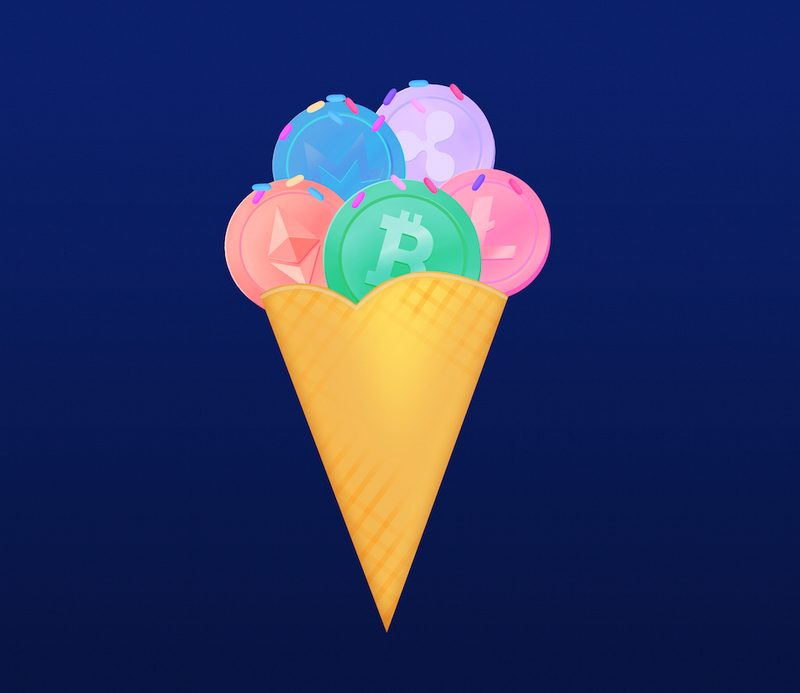 The last couple of years have been busy ones in the crypto world, with the number of ICOs and subsequently the amount of altcoins increasing steadily, and there are currently more than 2,000 cryptocurrencies available. Furthermore, the industry has weathered some stormy conditions recently, including strict regulation, government sanctions and cybercriminal activity, but has come out fighting. However, while Bitcoin may have proven itself as a legitimate digital currency, with a growing focus on eco issues, it may well have finally met its match. Recently, a number of coins have appeared that promise a greener and more sustainable approach. Some do away with mining altogether, as is the case with Nano, or certain coins reward environmentalism over energy consumption, such as EnergyCoin or SolarCoin. The creators of SolarCoin describe it as being ‘like air-miles for the Solar electricity generation,’ and with recent records showing that cryptocurrency uses as much CO2 a year as 1 million transatlantic flights, raising alarms about its carbon footprint, these alternatives are indispensable and much welcomed. Last year ignited a cryptocurrency boom that shows no signs of slowing down, and in 2017 the use of Bitcoin resulted in an estimated 69 million metric tons of CO2 emission, emphasising that no matter how lucrative this industry is, we can no longer afford to turn a blind eye. And while bitcoin enthusiasts argue that the dialogue around the digital currency and its energy use has been distorted, critics maintain that something needs to be done, and in June authorities in Quebec, Canada increased electricity rates by 300% for Bitcoin miners to try and reduce the rising number of crypto miners. In light of the dismal warnings about the planet’s future delivered by the UN’s Intergovernmental Panel on Climate Change, some inspired ideas around how to reduce the environmental cost of mining could not have come at a better time. The current global power consumption for the servers that run bitcoin’s software energy consumption is 22 terawatt-hours (TWh) per year, compared to Googles 5.7 TWh the same year, and the energy consumed by cryptocurrency mining operations is reported to outdo the electricity needs of Austria and Chile before long. And with Bitcoin’s energy consumption growing at a huge pace – 20% per month – it is likely that it will use the same amount as the total power generated by the world’s solar panels by the end of 2019. The energy-intensive mining process in manufacturing bitcoin has been one of its biggest negatives and while several solutions have been suggested, none have come close to resolving the problem. From solar power to self-driving electric cars, we already have access to the technologies and tools that can help battle the devastating effects of climate change, but with no foreseeable substitute to the energy-heavy mining process, what’s the alternative? Surely the solution can be found in the country that supplies more electricity to crypto mining firms than it does to its 334,000 citizens? Iceland, typically known for its tourist services and low-budget airlines, is transforming into a tech hub, and its cities are lively with blockchain specialists and cryptocurrency technicians, with an ever increasing number of crypto-oriented companies setting up home in the Nordic area. The country – known for its geothermal energy production aided by the cold weather and the cheap electricity – is in the spotlight following it’s innovate methods to power the crypto mining network, after politicians grew concerned about the huge amounts of energy required for cryptocurrency mining. Step forward Krista Hannesdóttir, a maths teacher who has found a creative, innovative way to mine cryptocurrencies. Hannesdóttir pays local farmers for any extra geothermal energy they may produce, which she then uses to set up and maintain cryptocurrency mining hardware. This mutually beneficial approach, resulting in increased profit and a reduced carbon footprint, is a win-win situation. 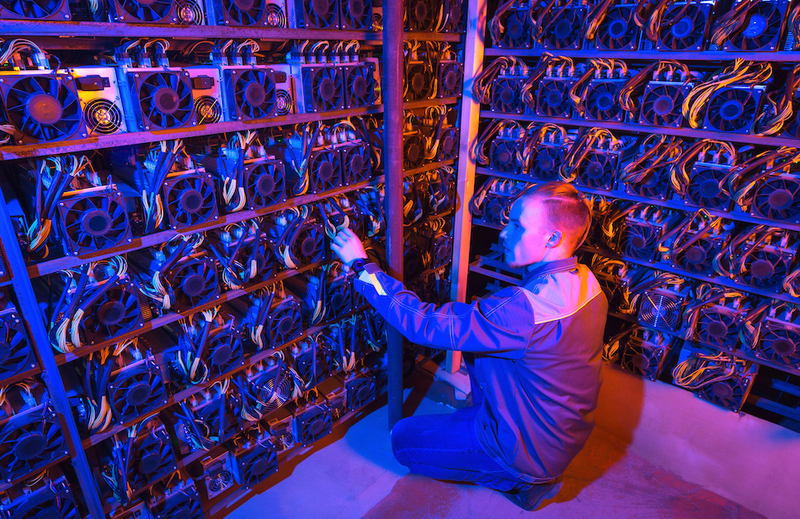 Hannesdóttir’s humble mining operation is located in a small former fishing factory near Iceland’s Keflavík Airport, and extracts £7,876-worth of the Ethereum cryptocurrency every month. Her rig, established in the small seaside town of Sandgerði, consists of 180 fan-cooled P102 GPU machines, and can continue to be lucrative without the need to scale. With the legalities around mining still blurred, the farmers are keeping their involvement close to their chest, but Hannesdóttir’s innovative solution could play a big role in curbing the environmental problems of digital currency. Mining will remain profitable in Iceland for some time to come, so other options, alongside this solution will need to be explored prior to the total depletion of the energy resources. In January 2019, blockchain technology will be 10 years old, which is a major milestone for a technology that many unconvinced specialists predicted would never make it out of single digits. Satoshi Nakamoto, the mysterious creator of Bitcoin, released the Bitcoin code in January 2009, and since then, thousands of other cryptocurrencies and several blockchain projects have emerged. Cryptocurrency is forecast to continue to be a gold mine for investors and stakeholders, and hopefully, with some much needed and warranted change, it can be turned into a green mine.